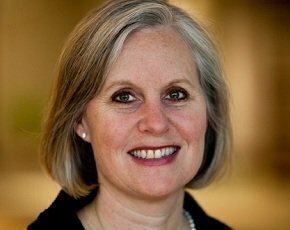 Organisations must prevent women from excluding themselves from the top jobs in IT, according to Jane Moran, global chief information officer of Thomson Reuters, and winner of Computer Weekly’s “Most Influential Woman in UK IT” award. “In this industry, some women have a perceived lack confidence in their technical abilities,” she said. Moran, who sits on the advisory board for Women in Technology International, said less than 20% of those working in IT are female, with that figure halving at a senior level. “If you have a job description with 10 requirements, I’ve found if a woman meets nine, she will disqualify herself. But if a man has six, he’ll apply for the job," she said. Companies ought to nurture the female talent within organisations, she said: “They should help them train for roles if they appear to have [IT] ability.” Mentor programmes could also help in this area, said Moran. Organisations with a better gender balance are more successful, she said: “I am a huge advocate of diversity and inclusion. Gender and culturally diverse teams are more productive and creative. “Companies with three-plus women on the board make more money. The metrics bare out – [diversity] leads to more creative, innovative environments." Unsociable and demanding work hours are another aspect of the job that often puts women off. “The most obvious solution is to address the issue of flexible working. People go through cycles in their career. Earlier on they have time to invest in their career, and then they take time to invest in their family,” she said. Companies should encourage women to stay connected to the organisation by allowing part-time working, so they can later come back on a full-time basis, she said. More women also need to be encouraged to study IT at university level, as the number of females taking the subject is declining. Universities are starting to introduce female-only computer classes to encourage women into ICT. “These programmes help girls and women to understand that it’s okay to be a geek,” she said.